Many people find comfort and assistance from spiritual leaders and faith communities during times of grief, loss or trauma. In fact, many people have a history of turning to their clergy for support before they turn to mental health professionals. In a Faith without clergy, many people have turned to the Baha’i Institutions for assistance and guidance. This can be very painful, especially if our own parents exhibited the same behaviours. At the same time, it can also be very healing for both sides. Those who are suffering at the hands of the oppressors are looking to our Baha’i communities for spiritual solutions and striving to understand and apply these solutions in their own lives. They need the help of the Institutions. Sometimes it can be hard for an Assembly to understand why a seemingly healthy adult can “over-react” to someone’s tone of voice or lack of respect. They may be vulnerable because of their life tests or past experiences. It can be very difficult to participate in consultation when someone fears their ideas will be censured and/or their views belittled. The important issue is always emotional safety and containment. If people push themselves too hard or too fast to do things outside their comfort zone, so that they become unsafe, it’s important to let them slow down, pull back, and respect their limitations. Remember, these are psychological injuries and as such the healing process should be careful, protected and gradual. The last thing the psychologically injured person needs is more injury, particularly from the Institutions it turns to for support. How has this helped you understand this issue better? What’s been your experiences? Post your comments below. A believer is free to consult with the Assembly at any time, for any reason. Depending on the reason for the meeting and past experience with authority figures, this may be somewhat frightening. In order to help understand what to expect, let’s look at what the Writings say such a meeting should look like, both for Assembly members and for those meeting with them. It’s important for them to investigate or verify issues in order for truth to be discovered and understood. Believers called upon to provide information should, if necessary, be reminded of the responsibility they bear to speak the truth and of the spiritual consequences of a failure to do so. Have you ever met with an Assembly? What was your experience? How has this helped you understand the issue differently? Post your comments below! The Spiritual Assemblies are the upholders of the Law of God. It’s important for them to investigate or verifiy issues in order for truth to be discovered and understood. How has this helped you understand the requirements of the NSA in these situations? Post your comments below! telling her to paint His “Servitude to God”. She completed it over the course of six sittings which took place over multiple days in different rooms. Juliet remembered that fourth sitting on June 19th because of an extraordinary experience she and Lua Getsinger had on that day. Bahá’u’lláh’s Tablet of the Branch and spoke with great power on the Covenant. Enter, O people, beneath the shelter of the Word! Then drink therefrom the choice wine of inner significances and utterances; for therein is hidden the kawther of the glorious One — and it hath appeared from the horizon of the Will of your Lord, the merciful, with wonderful lights. Say: Verily, the ocean of pre-existence hath branched forth from this most great Ocean. Blessed, therefore, is he who abides upon Its shores, and is of those who are established thereon. Verily,this most sacred temple of Abha —the Branch of Holiness— hath branched forth from the Sadratu’l-Muntaha. Blessed is whosoever sought shelter beneath it and is of those who rest therein. O ye people! Draw nigh unto It, and taste the fruits of its knowledge and wisdom on the part of the mighty, the knowing One. Whosoever will not taste thereof shall be deprived of the bounty, even though he hath partaken of all that is in the earth — were ye of those who know. Say: O people, praise ye God, for its Manifestation, for verily it is the most great favor upon you and the most perfect blessing upon you; and through Him every moldering bone is quickened. Whosoever turns to Him hath surely turned unto God, and whosoever turneth away from Him hath turned away from My beauty, denied My proof and is of those who transgress. Verily, He is the remembrance of God amongst you and His trust within you, and His manifestation unto you and His appearance among the servants who are nigh. Thus have I been commanded to convey to you the message of God, your Creator; and I have delivered to you that of which I was commande His messengers, and then His holy servants. Inhale the fragrances of the Ridvan from His roses and be not of those who are deprived. Appreciate the bounty of God upon you and be not veiled therefrom — and, verily, We have sent Him forth in the temple of man. Thus praise ye the Lord, the Originator of whatsoever He willeth through His wise and inviolable Command! Hasten, O people, unto the shelter of God, in order that He may protect you from the heat of the Day whereon none shall find for himself any refuge or shelter except beneath the shelter of His Name, the clement, the forgiving! Clothe yourselves, O people, from the dart of doubts and superstitions, and that ye may be of those who are assured in those days wherein none shall ever be assured and none shall be firmly established in the Cause, except by severing himself from all that is possessed by the people and turning unto the holy and radiant outlook. If ye find one athirst, give him to drink from the chalice of Kawtha and Tasneen; and if ye find one endowed with an attentive ear, read unto him the verses of God, the mighty, the merciful, the compassionate! Unloose the tongue with excellent utterance, then admonish the people if ye find them advancing unto the sanctuary of God; otherwise abandon them unto themselves and forsake them in the abyss of hell. Beware lest ye scatter the pearls of inner significance before every barren, dumb one. Verily, the blind are deprived of witnessing the lights and are unable to distinguish between the stone and the holy, precious pearl. 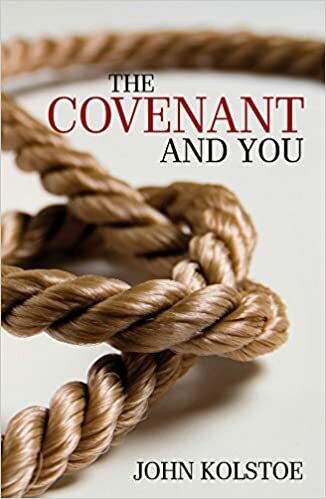 In the second video, we hear some comments taken from a talk given in New Zealand in 2006, on the Power of the Covenant, by former member of the Universal House of Justice Mr. Ali Nakhjavani. Is mankind finally able to overcome its incompetence and shortcomings that have so weighed it down in the past? Aren’t we the same bunch that have messed things up before? Is there something new to combat the viruses that have plagued the human race: anger, jealousy, greed, materialism, the love of leadership, and so on? A shift in human affairs is started. The shortcomings and foibles that have corrupted political systems and religions for eons gradually lose their power. The foundation is laid for peace and security on this war-torn planet. The world draws closer to fulfilling the Báb’s promise. Mankind comes into harmony with the latest Word from God. This month I’d like to introduce you to Leyla Tavernaro Haidarian, a Life Coach and Media & Communications Specialist who would love to closely guide you through the process of designing your personal strategy and improving your quality of life, especially when life takes uncertain turns. She places great emphasis on deconstructing false dichotomies, bringing various seemingly conflicting interests into a coherent oneness of purpose and complementarity. Her approach includes embracing the uncertainties of life and business so you can succeed at a deep level. This month we feature the unique graphic designs of Finnish designer Joe Paczkowski, whose work I have been encouraging on Facebook for some time. Check out the images in his various galleries which can be used for personal non-commercial purposes, perhaps to embellish your devotional, teaching and administrative materials. If you like to colour, he has contributed to my favorite “Virtues Meditation Mandalas Coloring Book”, which has been billed as a “Spiritual Stress-Reducing Coloring Book for All Ages”. And if you like to wear your art, check out his silk scarves and stoles. My favourite is the 9 pointed star scarf! To see more of his products (including mugs, mobile phone and laptop skins, tote bags, T-Shirts, art prints and more). I’m going to order one of his duvet covers! Thanks everyone for your prayers and kind wishes! I have 8 screws and plate my ankle is having to learn to bend around ! Every day I celebrate small victories! God willing, I’ll be walking again by Christmas!